BRING POWER INTO YOUR LIFE! 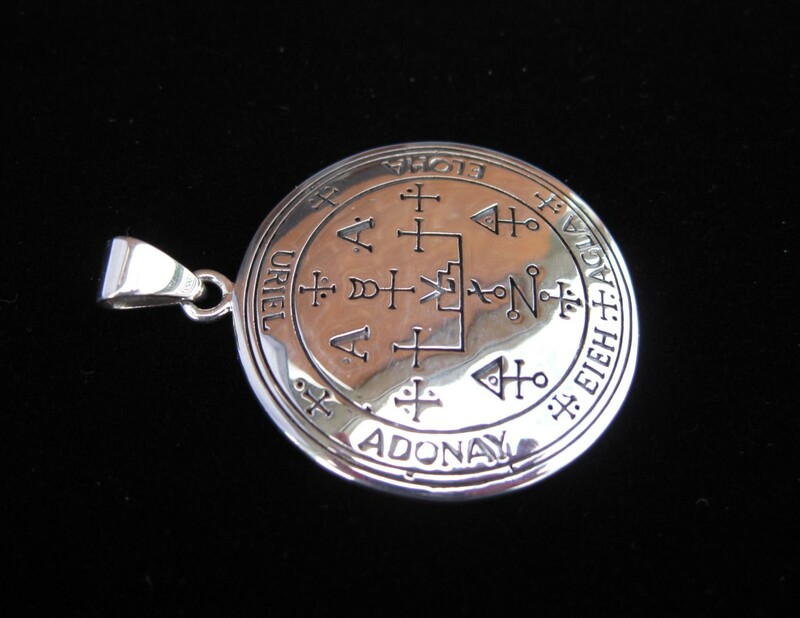 "This Pentacle contains the head of the great angel Methraton or Metatron, the vice-regent and representative of Shaddai, who is called the Prince of Countenances, and the right hand masculine Cherub of the Ark, as Sandalphon is the left and feminine. On either side is the name 'El Shaddai.' 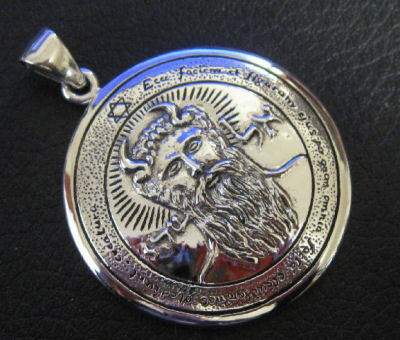 Around is written in Latin: 'Behold His face and form by Whom all things were made, and Whom all creatures obey.' "
Michael's name means 'He who is like God' or 'He who looks like God' His chief function is to rid the earth and its inhabitants of the toxins associated with fear. Michael gives guidance and direction for people who need help or assistance in their life's purpose or career path ... to clarify or to make changes. Defender of the Element of Fire and of the South. 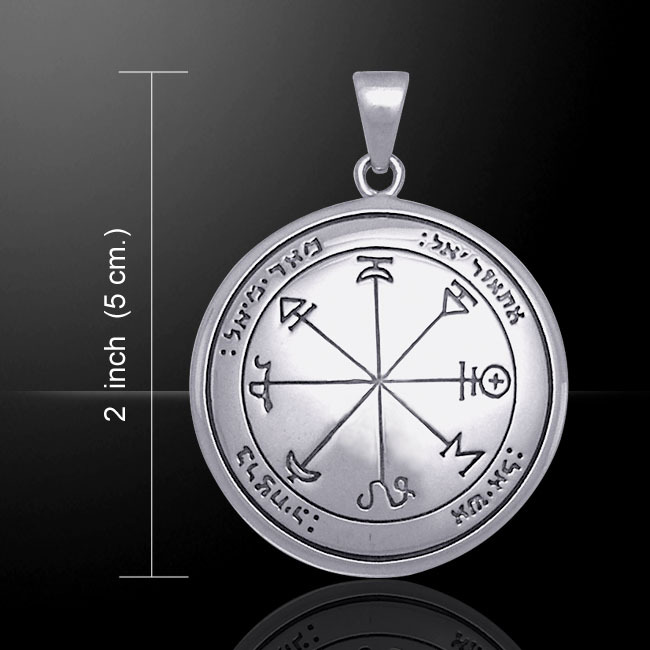 Leader of the Archangels, he is the Angel of protection, justice & strength. Protection, courage, power and strength. Archangel Michael gives you protection, and encourages you to make life changes that are required for your spiritual growth. 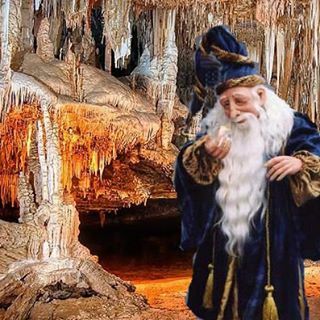 In Jewish mysticism and Western ritual magic, Zadkiel is associated with the plant Jupiter. This Angels position in the Sephirot is forth, which corresponds to Mercy. Zadkiel's name means 'The righteousness of God' Zadkiel can help you hold mercy and compassion towards yourself and others, and let go of judgements and unforgivingness. To forgive yourself or someone else, ask Zadkiel for help. He is the Archangel of invocation,transformation. Angel of freedom, benevolence, mercy, and the patron Patron Angel of all who forgive. 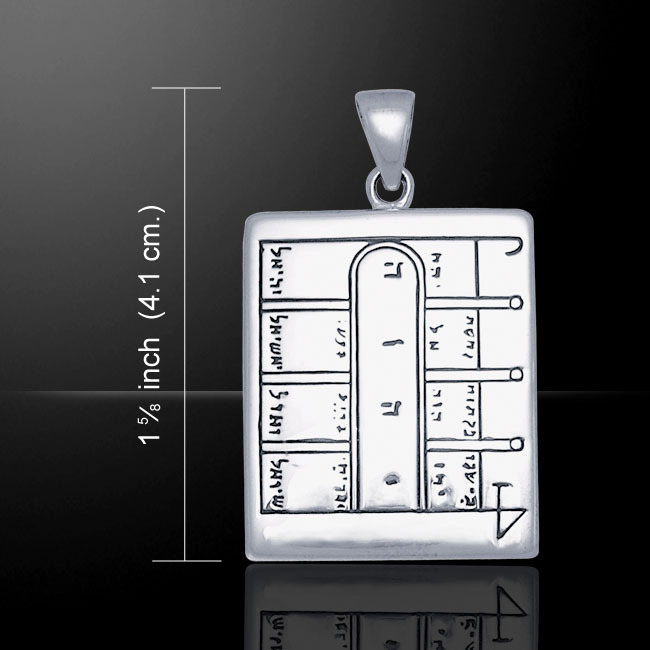 The Mystical Figure of Solomon is captured in this intricately crafted sterling silver pendant. 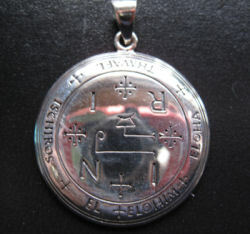 Each symbol within the seal holds a special meaning. 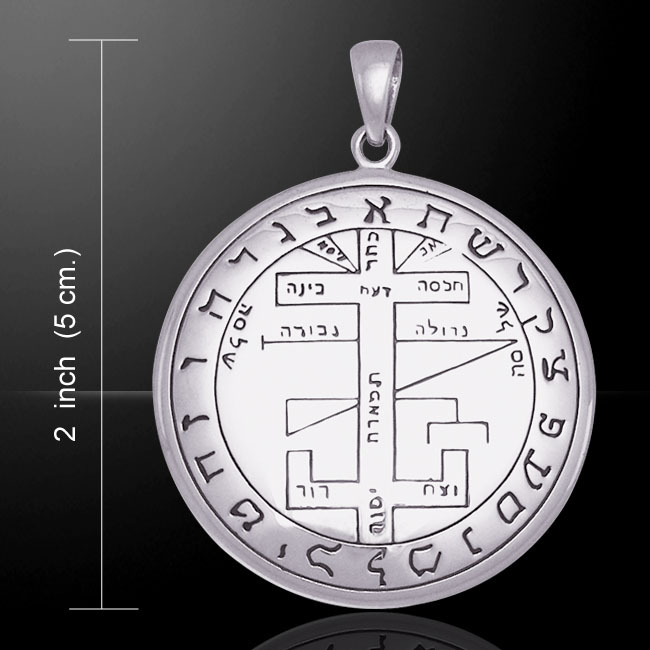 Some see this seal as one of the first magikal sigils in recorded history. protects from all earthly danger and help in the physical rejuvenation of the body. 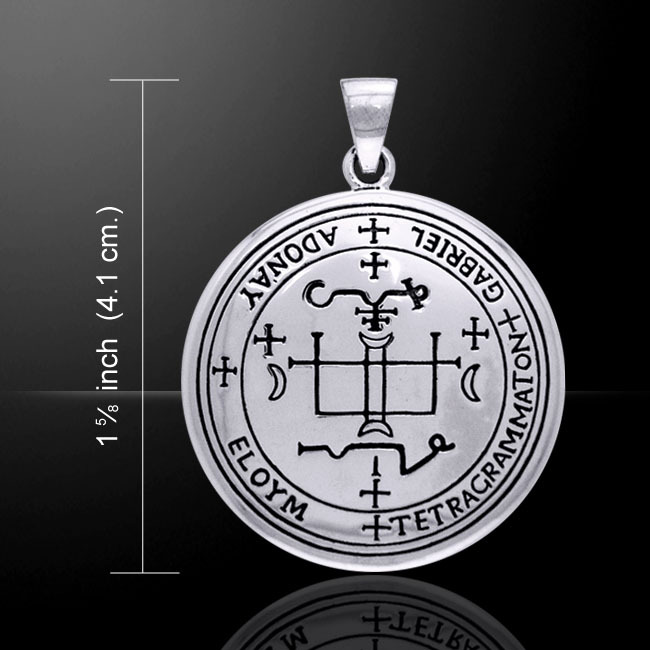 The sigil of the Archangel Thavael is used to invoke his power of virtue and grace. Thavael was charged with the care of the Lord Jesus Christ and it was he who conducted Mary and Joseph into Egypt when they were fleeing from the persecution of Herod. He is the angel of appreciation and comprehending simple virtues. 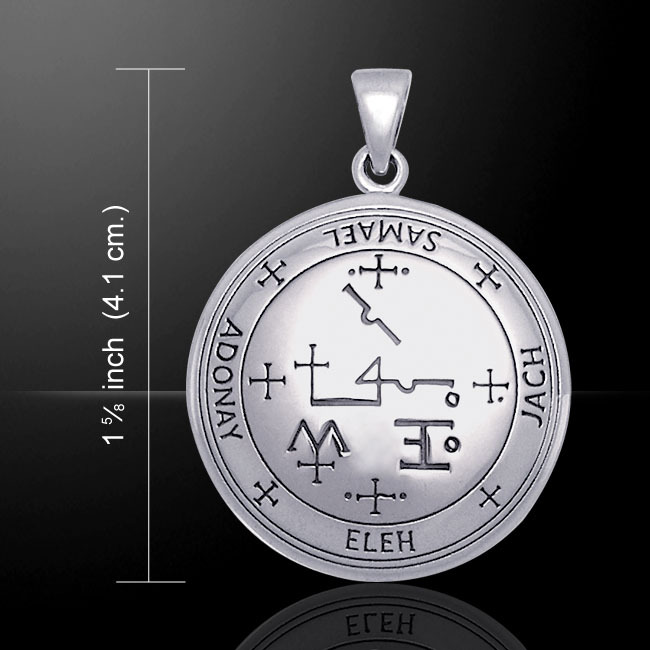 The writings of King Solomon indicate that the sigil of the Archangel Thavael can be used to invoke his spirit anytime. The Archangel Uriel has been called "the Lord of powerful action". Uriel personifies the Divine Fire that comes down from the Third Aspect of Deity--Universal Mind--penetrating each plane until It reaches the physical. There, the Fire ignites the fusion in the center of the Sun, the fission at the center of the Earth, and the kundalini at the base of the spine. It creates worlds, universes, and life--which then await the quickening impulse of the Second Aspect to evolve and grow. Bring friendships to the possessor. Nogahiel, Acheliah, Socodiah (or Socohiah) and Nangariel. "Designed to compel others to submit to the possessor's wishes & requests". they submit, and kneeling upon the earth before it, they obey. 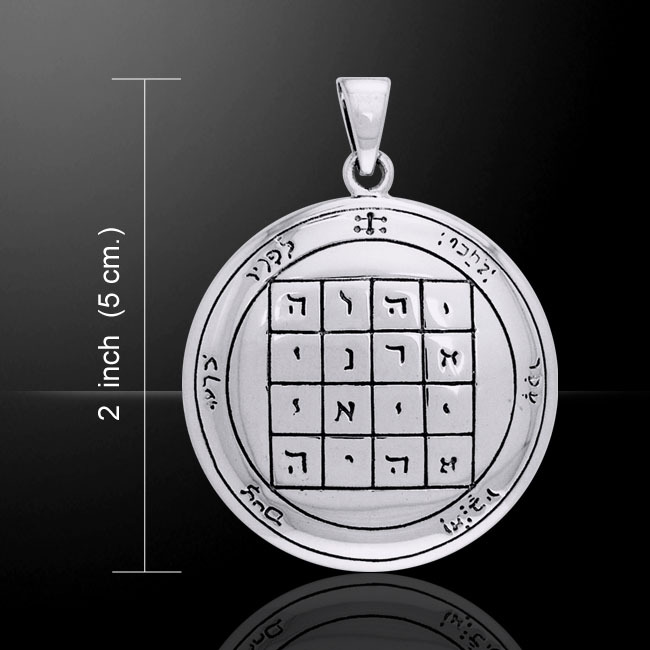 The Hebrew Letters within the square are the four great Names of God which are written with four letters:– YHVH, Yod, He, Vau, He; ADNI, Adonai; IIAI, Yiai. and AHIH, Eheieh. The Hebrew versicle which surrounds it is from Psalm lxxii 9; "The Ethiopians shall kneel before Him, His enemies shall lick the dust." whom Parasiel is the Lord and Master of Treasures, and teacheth how to become possessor of places wherein they are. 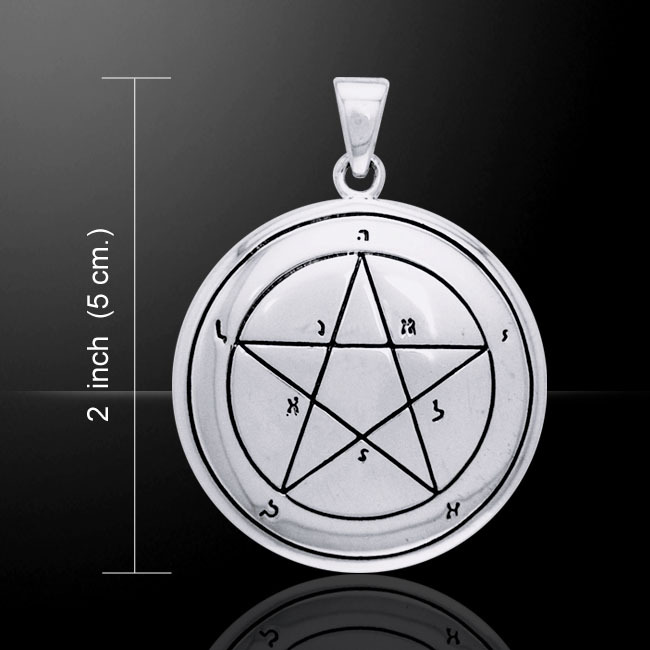 This Pentacle is composed of Mystical Characters of Jupiter. who are under the Firmament. Letters forming the Names of the Spirits Yekahel and Agiel. The Talisman for gaining courage, ambition, enthusiasm & all physical accomplishments.